- How did your career as a photographer start ? Right out of High School… Some friends dragged my to a concert and I never stopping take pix of bands since… We formed a fanzine (Metal Rendezvous Int. 1981-1989... 100,000 issues world wide base out of Monterey CA.) and it grew into a major mag!!! - Generally speaking, how is rock photography apart from general photography ? There is really not much difference… I have done a lot of scenic shots, portraits, produce shots… Shooting bands live on stage, you have to know or anticipate what the band movement will be like… Angus rarely stops moving so you have to watch for his runs across the stage and get in the right spot to catch him! - When did you first discover AC/DC ? Was it like love at first sight/hear ? That would be 1976 or 77… One of my best friends back in High School was a big fan… I think it was "Let There Be Rock"… I went out and bought" Powerage" when it came out!! 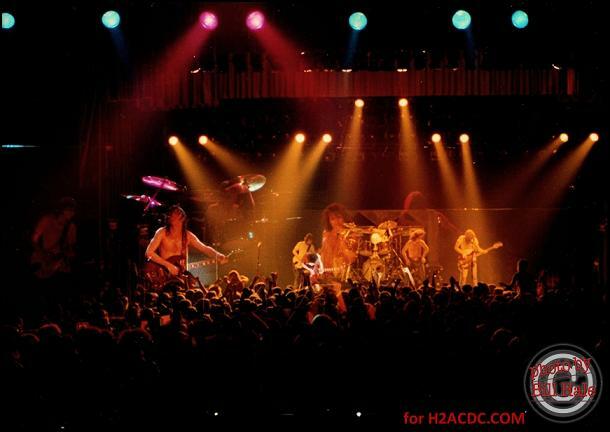 Yeah AC/DC was very different from all the bands at the time… way more grunt and guts!!! 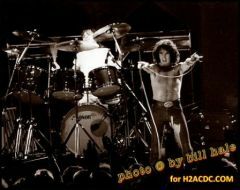 Bon Scott had something that no one else had!!! 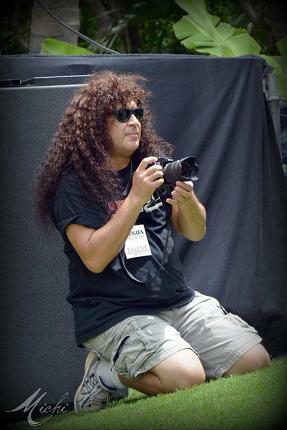 - What does AC/DC represent for you as a photographer ? 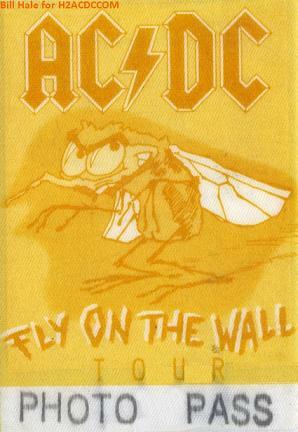 At first when I was young, before I was pro… it was like HECK YEAH… AC/DC!!! As the 80's went on I had more respect for the band and felt lucky that they let me in the "photo pit" !! - Over which period of time have you regularly shot them? Tell us more about this show and yours souvenirs. 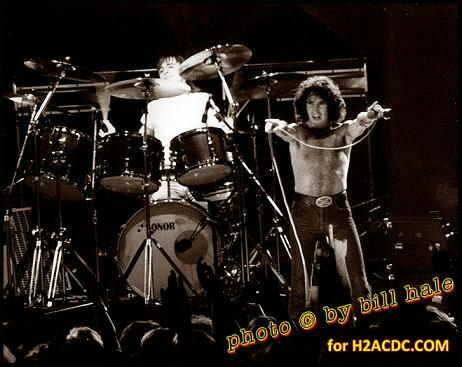 I shot the band from 1979 to 1988 I think… All in and around the San Francisco Bay Area… I have photos and backstage passes that's about it… Had some Highway to Hell T-shirts but they got lost !!!! Yeah, I was 18 and just out of High school… My buddies and me saw the band in Santa Cruz CA. This was my 2nd or third concert that I ever photographed… (not professionally) The band was all that and more!! Bon was rough, with that look in his eye!!! He was Rock & Roll !!! Wish I had got to meet him or at least shake the Man's hand !!! - And Angus ? What kind of man he is ? 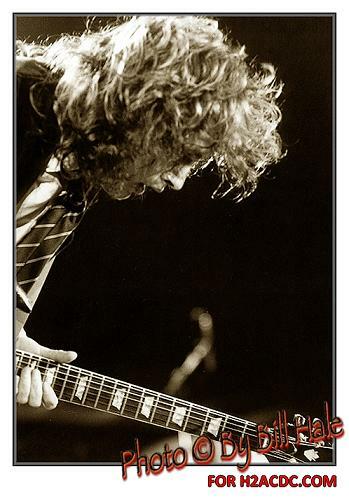 - There's always something special out of the AC/DC pictures. Power, energy, rage. How would you explain that ? How did you capture this energy ? Because AC/DC is a real Rock and Roll Band!!! The band gives 110% on stage. I just got lucky at first. When you walk into an AC/DC concert you know what you are going to get. You know all the words to all the songs and you sing them at the top of your lungs, even when I was clicking away in the photo pit, I was singing all the songs. That's it, the band and their fans coming together and a good photograph will capture the spirit!!! - What did AC/DC bring to the Rock'n'roll on-going history ? A raw grittiness… working class hard hitting ROCK!! No fluff… just riffs and sweat !!! - Are you an AC/DC fan? What are your top 3 albums and why ? Why yes I am !!! 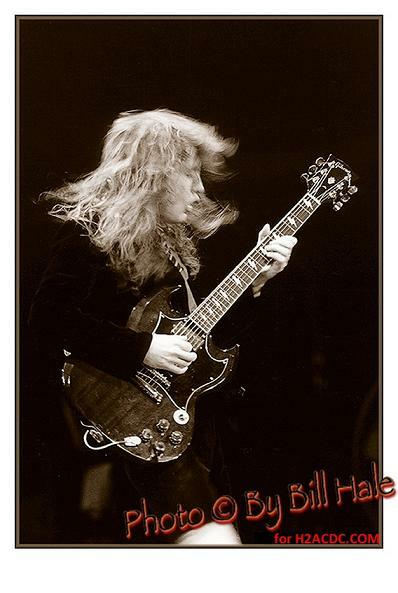 Top 3 and in no order… Highway To Hell - Powerage and Back in Black!!! I do fancy Ballbreaker tho… Mainly for the production value… The band hit a stride in the late 70's!!! 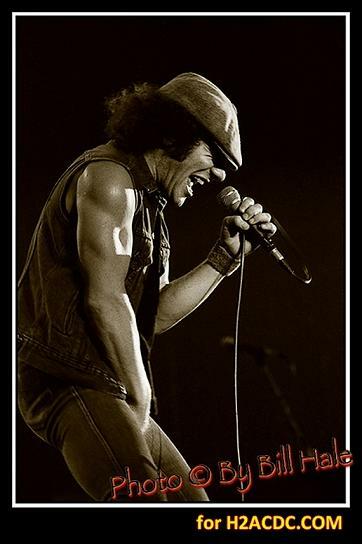 - What did you think about the choice of Brian Johnson in 1980? - Do you have seen AC/DC regularly live? In the 80, 90? 2000? During the Black Ice Tour ? - What was your most memorable photo shoot and why ? Every time that I shot AC/DC was special… You have to be on your game as Angus doesn't stand stil l!!! AC/DC is... One of the best bands that ever graced a Rock and Roll stage!!! - Do you have a message for http://www.highwaytoacdc.com and its members ? Yes, Keep rocking and TURN IT UP!! !